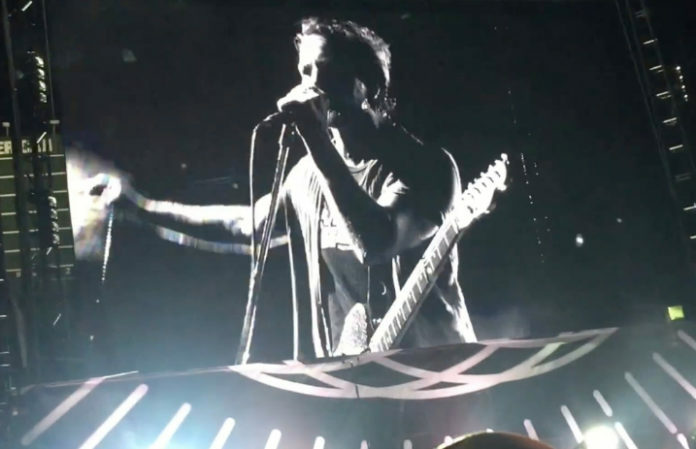 While performing “Lukin” at Chicago's Wrigley Field, Pearl Jam’s Eddie Vedder had to stop mid-song to remove an inconsiderate fan from the audience. It’s unclear what the person was doing, but fans cheered as Vedder told security to remove him from the show. “Hey! Hey mister! Hey, hey, get your finger out of that woman’s face motherf-…all the the fingers are pointing at you,” Vedder says in the video.